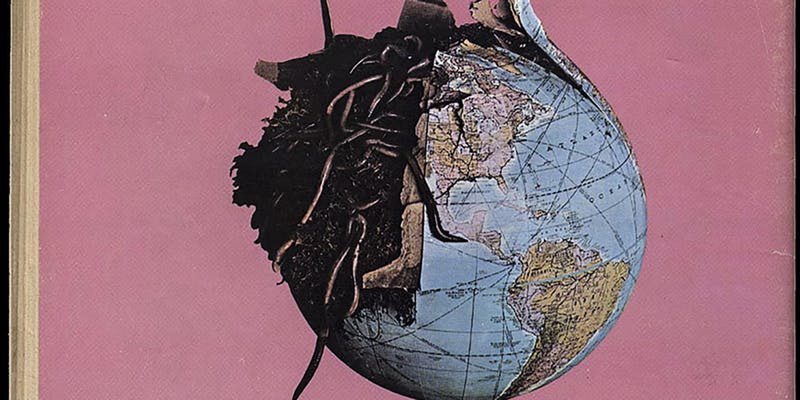 The Whole Earth Catalog (1968–1974), was a cultural touchstone of the 1960s and 70s. The iconic cover images of the Earth viewed from space made it one of the most recognizable volumes on bookstores shelves. The lecture will shed light on material aspects of the Catalog—its mode of production and behind-the-scenes debates- and to better understand the intentions of its protagonists. Additionally, this talk acknowledges the 2012 grant Maniaque was awarded by the Graham to make the 2016 publication through MIT Press possible. Caroline Maniaque-Benton, PhD, is Professor of the History of Architecture and Design at the Ecole Nationale Supérieure d'Architecture Normandie, and part of the research laboratory Ipraus- Umr AUSser /University Paris Est. A past fellow of the Canadian Centre for Architecture, Graham Foundation and Center for Advanced Study in the Visual Arts (National Gallery of Art, Washington, DC), she is the author of Le Corbusier and the Maisons Jaoul (Princeton Architectural Press, 2009), French Encounters with the American Counterculture 1960–1980 (Ashgate, 2011), and the editor, with Meredith Gaglio, of the anthology entitled Whole Earth Field Guide (MIT Press, 2016). She is the co-curator of the exhibition Mai 68. L’architecture aussi!, Cité de l’architecture et du patrimoine, Paris, May-September 2018. She also is editing the book Les années 68 et la formation des architectes, Rouen, Point de vues, 2018.